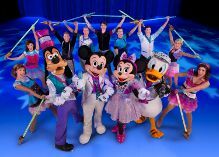 Disney On Ice presents Rockin’ Ever After in Sunrise – BB&T Center, March 20-23 and Miami – AmericanAirlines Arena, March 26-30. We went to the show on March 20th at the BB&T Center and had a great time. It featured our favorite Disney character, Ariel, of course! But it was also nice to see other favorites such as Belle, Rapunzel, and even Merida from Disney/Pixar’s Brave. Having 2 daughters, we’re no strangers to Disney On Ice shows but they are always fun for the whole family. We all enjoy watching the beauty as the characters spin and twirl as they skate. It’s amazing to see what they can do on the ice. My favorite of this show was Belle. I’ve seen Ariel in a few other Disney on Ice shows but seeing Belle and the Beast was my favorite part. 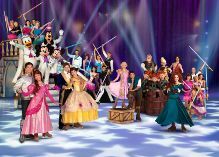 Make sure to check out Disney On Ice’s Rockin’ Ever After when it comes to a town near you! Get ready to rock out with some of the most magical idols of all in a musical showcase that features the hottest tunes and talent from across the kingdom in Disney On Ice presents Rockin’ Ever After! 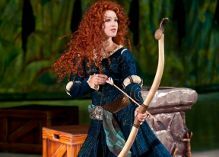 Jam to a Scottish jig as a group of royal contenders from the latest Disney/Pixar film, Brave, competes to win the heart of headstrong, sharp-shooting Merida, making her ice debut! Experience a show-stopping performance as Sebastian breaks out of his shell for one night only to make waves with Ariel. A chorus of harmless hooligans from Tangled unleashes musical mayhem when they get a visit from the sassy and spirited Rapunzel and her charming ally Flynn. And, get your feet moving as the Beast and his castle’s enchanted entourage take center stage in a spectacular show for Belle. Buy 4 tickets for only $54 when you use code FAMILY online with Ticketmaster or over the phone. 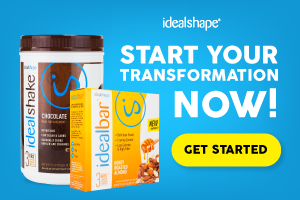 Good for Friday, March 21st 10:30am and 7pm; Saturday, March 22nd 11am; Sunday March 23rd 1pm; Thurs., March 27th 7pm; Friday March 29th 2pm and 7pm; Saturday, March 30th 11am; and Sunday March 31st 1pm. Offer excludes Front Row and VIP seating. A minimum of 4 tickets is required; additional tickets can be purchased at $13.50 each. No double discounts. Service charges, handling and facility fees may apply. Tickets are subject to market supply and demand. My 2 year old seriously goes CRAZY over Mickey & Minnie. Once I found out about Mickey Mouse Clubhouse: Minnie’s The Wizard Of Dizz DVD I was super stoked. Nothing like putting a creative new spin on an old classic to bring the whole family together. We used this movie for our last movie & pizza night, and it was a huge hit. In this exciting journey to a wonderful land of enchantment and surprises when Minnie and Pluto get swept away by a pink tornado. Before they knew what hit them, they were in a place filled with rainbow tress and awesome little friends called “chipmunchkins”. Along her journey she makes all kinds of new friends including Scarecrow Goofy, Donald the Lion, and Mickey the Tin Mouse. Filled with twists and exciting happenings, Minnie just wants to make it home! Will it happen? You will have to watch and find out for yourself!